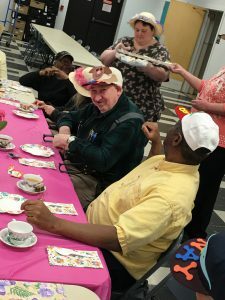 Tea Party- Welcoming Spring | | Senior Centers, Inc. 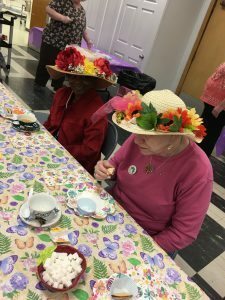 Beautifully decorated tables, elegant china tea sets, elaborate hats and fascinators all were part of the Welcome Spring Tea Party. 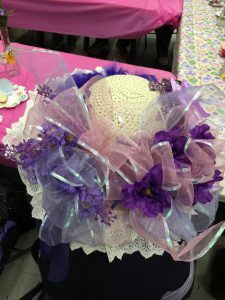 Last week everyone participated in decorating a hat to be worn to the party, even the men decorated a hat. 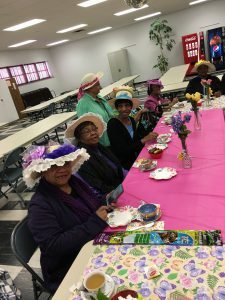 All the ladies and men dressed in their finest “tea attire” to partake in this elegant celebration. 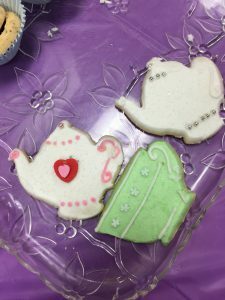 Handmade cookies and a lovely assortment of tea filled our stomachs and laughter filled our hearts. Together we said goodbye to “Old Man Winter” and said hello to Spring! 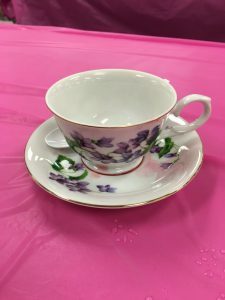 March 20, 2018in Crafts, Entertainment, Fun, Images, Partiesby Senior Centers Inc.